Creating a Sense Of Place. Spurring Economic Growth. 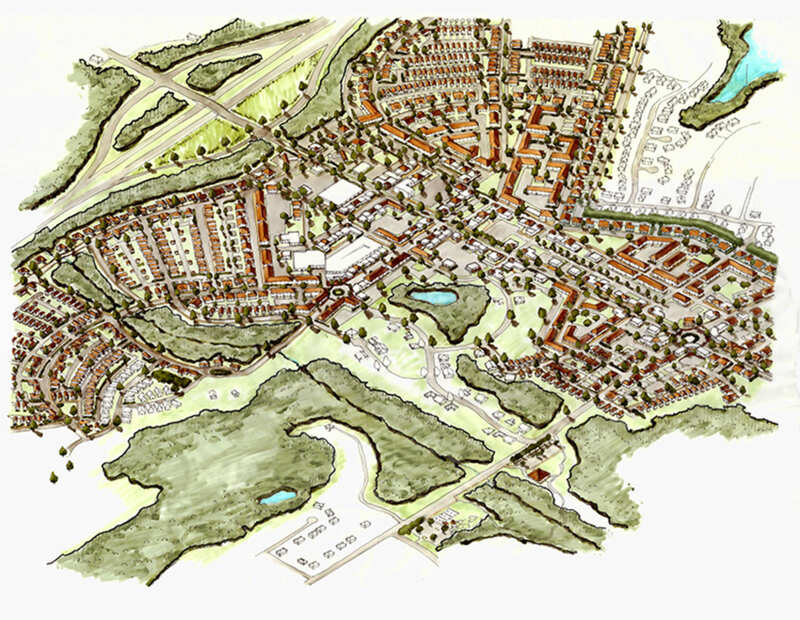 Stallings envisions a pedestrian-oriented urban form that will protect existing neighborhoods, while strategically locating multi-family housing and mixed-use densities. The new Monroe Bypass is a regional scaled infrastructure improvement connecting Stallings to Metropolitan Charlotte. The impacts on development and growth along the Corridor centered within this Study Area will be dramatic. 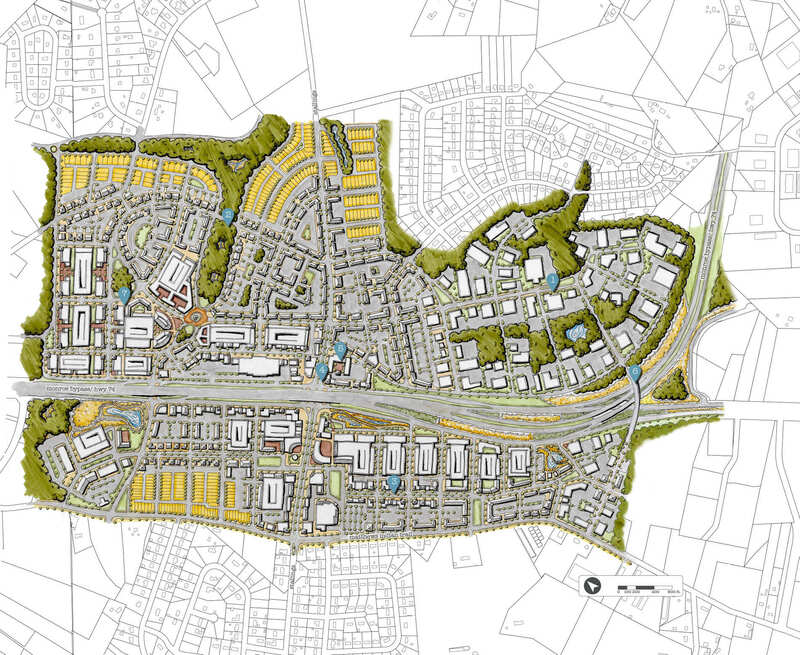 The Monroe Bypass Concept Plan acknowledges that this Study Area will see the most radical transformation within Stallings. 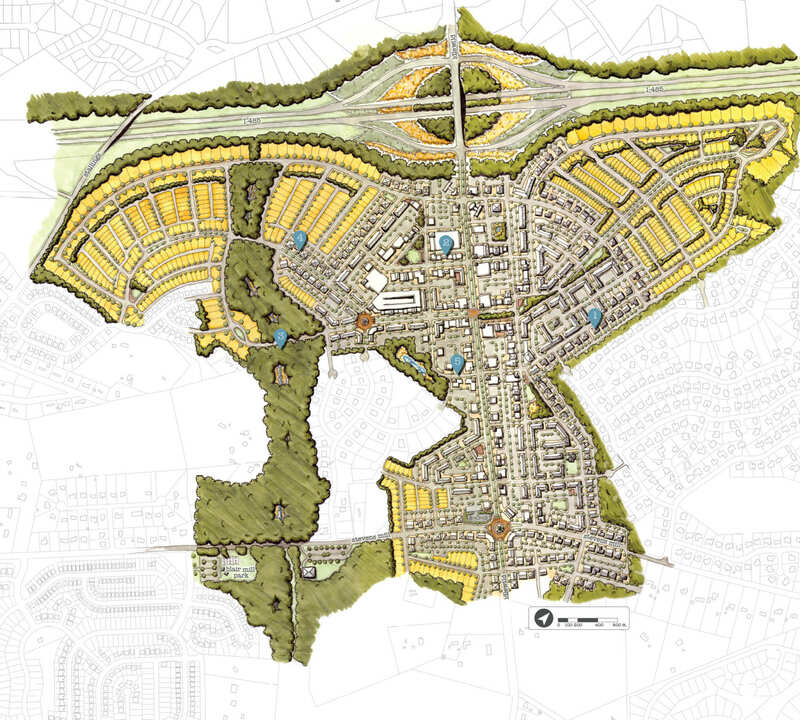 The goal of the Concept Plan for Highway 74 is to capture and orient the inevitable development so as to benefit as much as possible the local residents of Stallings. 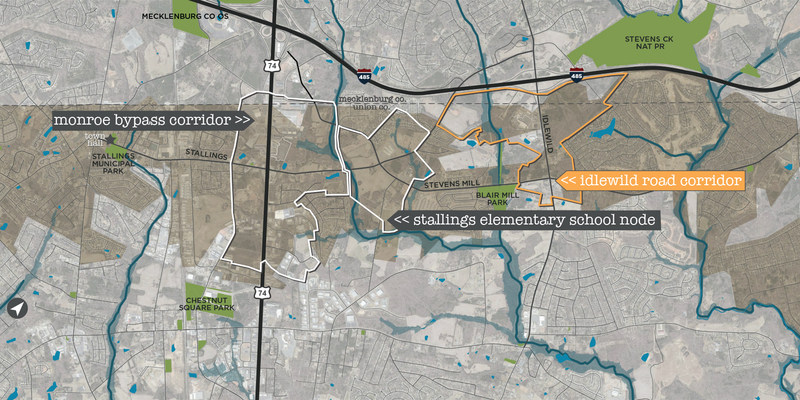 The Stallings Elementary School Study Area is located at the intersection of Stallings and Stevens Mill Road, north of the Monroe Bypass plan area. 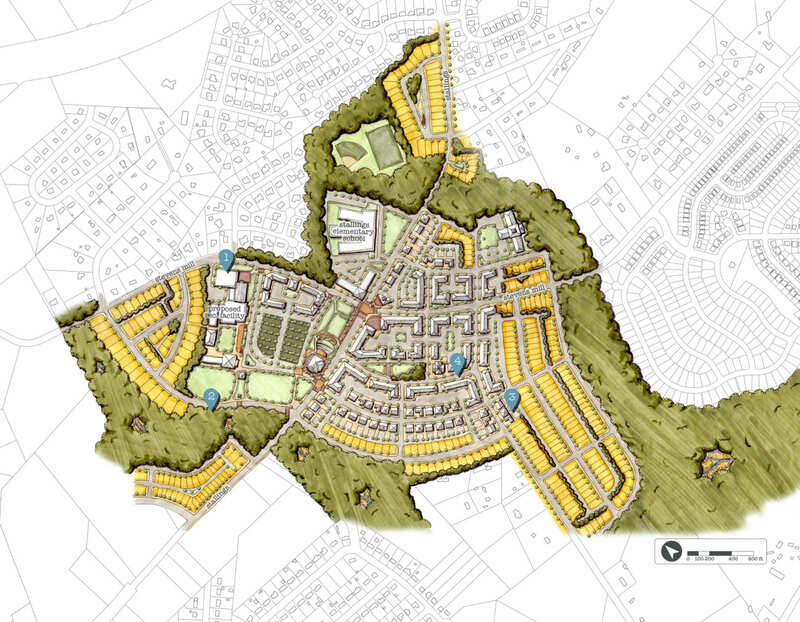 The Concept Plan envisions a Civic Center for Stallings, focusing on the development of active and passive recreational facilities geared toward local community needs, abutting multi-family and single-family housing to complete the surrounding neighborhoods. 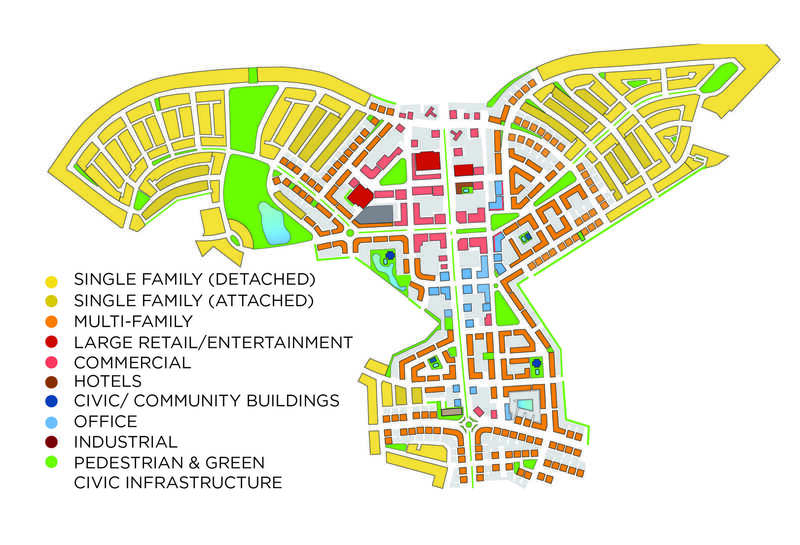 The Area offers the Town an opportunity to develop a high-quality public amenity in a single concentrated and central location to a majority of its residents. The goal of the Concept Plan is to focus the Town’s existing plans for development of parks and other recreational and gathering facilities into centers that connect with and support community-wide infrastructure. 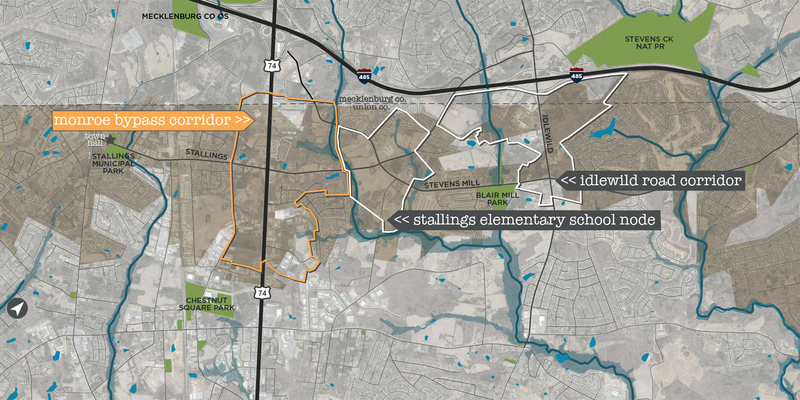 The Idlewild Study Area extends from the I-485 expressway to Stevens Mill Road. 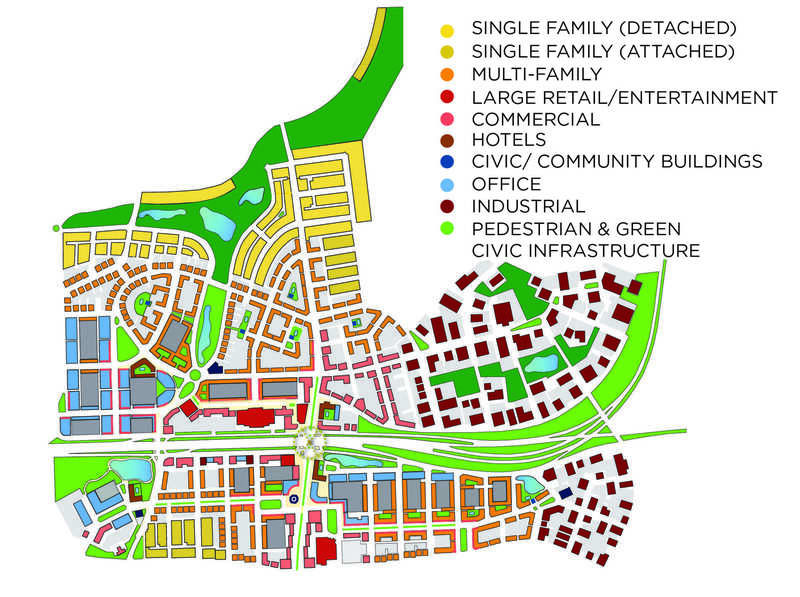 The Concept Plan envisions an integrated development supported by uses that are typical for markets within metropolitan areas having similar accessibility and locational contexts. 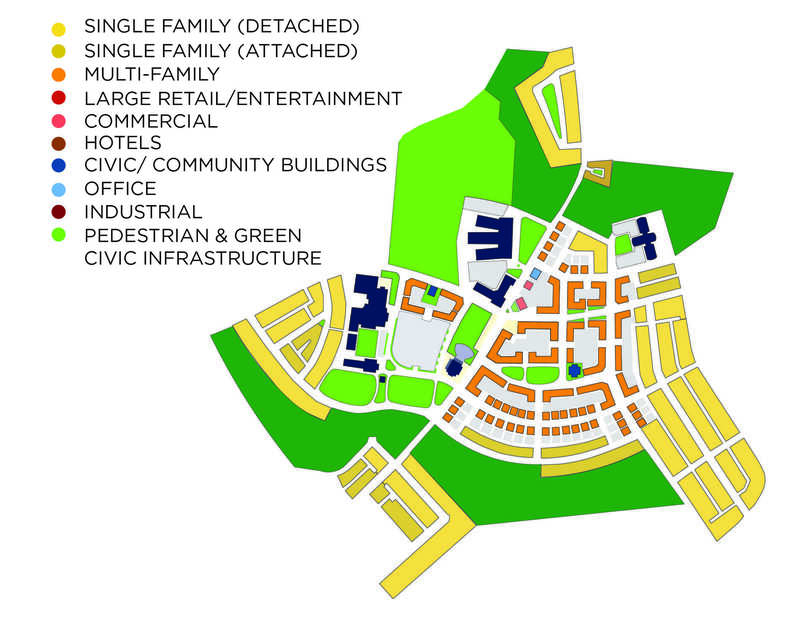 The intent of the Concept Plan is to capture and orient these users to support not only regional needs sustained by the auto-oriented access provided by I-485, but to also create a critical mass that enables the creation of jobs, fosters a good proportion of retail servicing local needs, and integrates these options in close proximity. 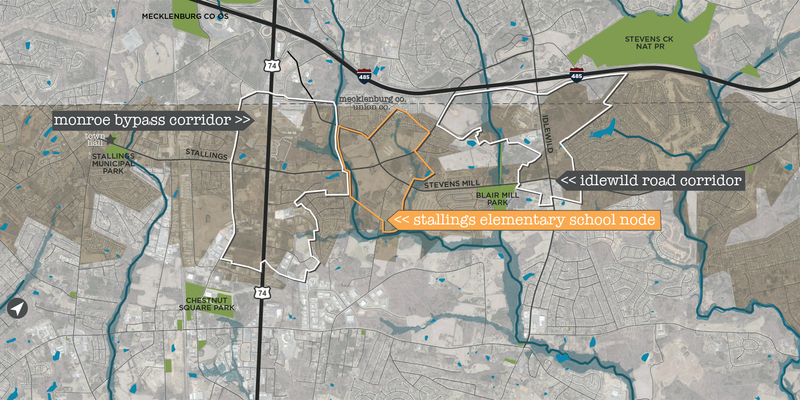 Blair Mill Park offers another lifestyle amenity to the development of the Idlewild Road Study Area. The Park’s location at Stevens Mill and Town ownership of property to its north along the creek tributary serves as a major recreational node and trailhead for future Stallings greenway network. 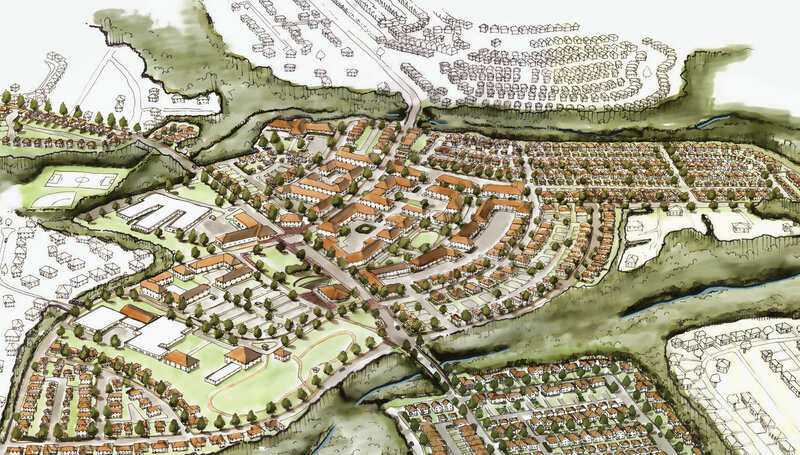 The Concept Plan extends this future Greenway into planned neighborhoods and commercial areas within the Study Area to offer access to residents.